Thanks for stopping by for this week’s Saturday Special. Each week we provide a limited-time special offer on one of our PsychicPRO services. The special will be made available for one week only, and then it will be gone. Make sure to stop by each week and rack up the savings while promoting your psychic services business. 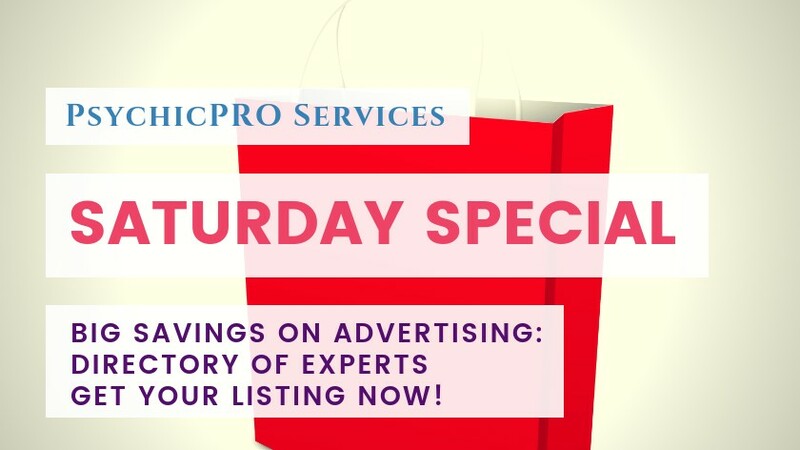 This Week’s Saturday Special: Big Discounts on Your Expert Listing in the Directory of Experts. The PsychicDeal Directory of Experts is a great way to find new customers for your private psychic business. With an Enhanced or Featured listing, you can promote your own telephone, video, email, or even in-person readings. Customers are searching through the directory to find readers offering the services they want (psychic, tarot, astrology, etc.) with deals for new clients. By offering a special deal to new customers, you’ll attract these website visitors. They can be sent directly to your own website where you can collect payment and arrange their reading. Anyone working in the Lightworker Industry knows that running a successfull business is a matter of playing the numbers. A percentage of customers who come to you for a new, first time reading will come back and get additional readings in the future. By increasing the number of new customers you read for, you’ll be able to build your base of clients who come back to you over and over again for future intuitive services. In fact, with an Enhanced or Featured listing, you can even send clients to wherever you work, even if it is more than one place. Give customers a choice in where they reach you! An Enhanced Listing gives you a professionally designed page, allows a limited number of contact links and and personal questions. Regularly $15/month with a $20 setup fee, you can get your listing for just $8.75/month and the setup fee is waived! A Featured Listing gives you more visibility and a lot more room on your page for additional information. Plus you can include as many contact links/details as you wish. Regularly $29/month with a $20 setup fee, you can get your listing for just $12.25/month and the setup fee is waived! This Saturday Special is available right now. But hurry, this special ends at 11:59pm (PT) on Friday, 12/7. I used to spend hours and hours playing with my Grandmother. I loved listening to her tell me stories about the "old country." She even taught me how to read my first deck of Tarot cards. The odd thing was, she had passed away just 6 months after I was born. Today, I don't quite see her appear as solid, nor as often, as she once did when I was a child, but I can still call upon her for advice. She is often there to guide me through my sessions with my clients. 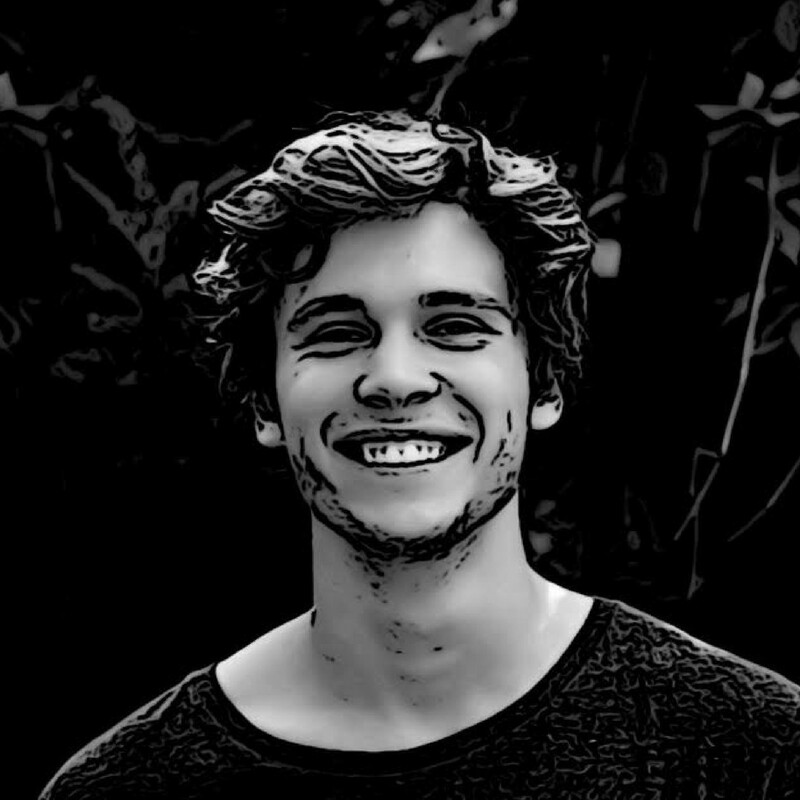 At PsychicPRO, I have found a great way to combine my skills and experience with designing websites with my background in the metaphysical world. I find it very rewarding to help psychics create their online image and express their individuality.